A long-time love of mine, I reread this because I wanted the Werther’s Originals taste/feel of the book, because stresss (which is over now, hurrah!). The main charm for me lies in what came of it later, along with the paternal and knowing tone of the narrator. The narrative voice has always felt warm to me — cognisant of the characters’ faults, and sometimes gently pointing them out, but always with a deep good-naturedness. And then, of course, there’s the world: perhaps not quite fully realised by the time of writing The Hobbit, but stretching out before and beyond it, even if the brushstrokes are broad. 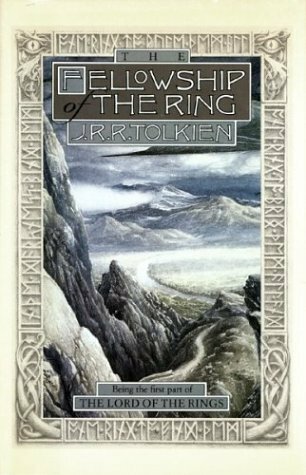 There are many things tone-wise that don’t quite fit with The Lord of the Rings, and the text itself was revised to fit in with the later material — but so cleverly, playing with the textual history of the story, tying together the real with the imagined. I love all the things Tolkien did with creating texts within his stories: that too is part of what makes his world real, that there are books and histories that are relevant to the world… there are few people who do it quite as well, and it’s always a delight. Of the story itself: a rather ordinary middle-class hobbit, comfortable in his world of small social engagements, good food and convenience, ends up swept into an adventure involving trolls, goblins, magic rings and (in the end) a dragon. He’s the most clearly delineated of the characters, with many of the dwarves being mere thumbnail sketches: nonetheless, it works (with one or two dwarves picked out for slightly more detail here and there to keep them from being entirely props, and Gandalf being the enigmatically fascinating sorcerer of somewhat unknown motive in the whole affair). It’s definitely pitched more at children, though there’s something about the tone that I think makes it a delight at any age. As a fantasy book, taken alone, it’s not all that astounding. It mingles some lore together, barely hinting at the more cohesive and seriously built world Tolkien would later introduce to us. In the end, it’s a typical quest story — it’s Tolkien’s world and his narrative voice that make it for me. I still have a whole rant about the way the Tolkien estate is putting out these books, padded out with excerpts from Tolkien’s drafts, and yet marketing them to a general rather than scholarly audience. If you’re here for Gollums and hobbitses, you’ll be disappointed, though you can see some seeds for and parallels with Tolkien’s later, greater work. Personally, I was glad to get to read this and the extra material, because Tolkien’s work and scholarship fascinates me. Where he edited his own work, which he did obsessively and meticulously, he rarely puts a foot wrong; in his drafts and rough copies there’s still a lot of beauty and interest. But I’m also interested because this was inspired by a Breton lai, and attempts to keep some of the same atmosphere while dealing with the Breton folklore — though also creating something distinctly Tolkien’s own. I think it’s a fine piece of work — if you know what you’re going into. Not Mordor, nor Lothlorien (though you might glimpse Galadriel), but perhaps a little bit of Mirkwood. And so another reread came to an end — somewhat painfully. The first half of The Return of the King is just as epic and well-written as the rest. Aragorn shows his nobility and saves the day, epic battles are fought, the hobbits surprise themselves with their own valour, and the creeping dread of the Nazgul can be felt by characters and reader alike. The battles and the nobility of all the characters are clear, there’s tension and excitement, and some truly vivid images — like Denethor’s hands, holding the palantir, withering in flame. Even the start of the second part works well: Sam and Frodo practically crawling through Mordor. The despair and the trudging and the dirt and defilement are as vivid as anything written before. Even their triumph works reasonably well. But it’s as though Tolkien just didn’t know how to end the book. It ends on the Field of Cormallen, then again in Gondor. Then again at Orthanc, and Rivendell, and in Bree, and again in the Shire, and then yet again at the Grey Havens. Each scene makes sense, but it feels like it’s wrapping up… and then it’s as if Tolkien takes a deep breath and plunges on. It feels a little untidy, even while it ties up all the loose ends. And when you get to the Scouring of the Shire, you just want to yell at him to give Frodo a break already. Thematically, it makes sense. It’s been hinted at from the beginning, and the plot is ready for it. But I don’t feel like the story is. It just doesn’t draw to a close gracefully. ‘And then another thing. And another thing.’ Like being told an anecdote that never seems to end. I do love The Lord of the Rings passionately, in spite of all its faults… But I skimmed the Scouring of the Shire, this time round. As with The Fellowship of the Ring, it’s hard to know how to review this with objectivity. 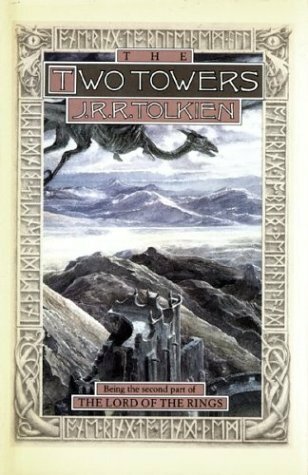 I’ve been trying to think which of the three sections is my favourite, but even that is difficult; I think the whole they make — and were intended to make, by Tolkien, who did not view them as a trilogy but as a single book — is most important. It’s a little odd in this book to go straight from the whole fellowship at the end of the first ‘book’ to such a fragmented company, spending the whole first half with Merry, Pippin, Aragorn, Legolas and Gimli, and then the whole second half with Frodo and Sam. It feels a little unwieldy, like that — I could wish for more alternation between the two. But really, Tolkien knew what he was doing very well. What I find interesting having read it now is that I know the land of Rohan well, from playing LOTRO. Yet as soon as Frodo and Sam reach the Emyn Muil, I can no longer visualise the world, because I haven’t been there in LOTRO. That says a lot more about me than about Tolkien, though: the physical description is still there, and LOTRO is built on that rich resource. But for me… suddenly, there are no pictures in my head for Mordor. And perhaps that’s for the best! I always find The Two Towers the quickest read, yet perhaps my least favourite; so much of it is about getting the players into position. But at least it features Faramir, who in the books has a nobility to match Aragorn’s. It’s difficult to know how to review something I’ve read so many times, and loved so much, with any kind of objectivity. I’ve been through phases with Tolkien: uncomplicated adoration of a plot I could get my teeth into and a mythic world it took work to imagine; disgust at the lack of female characters and the assigning of certain racial characteristics primarily or wholly to evil characters; nose-wrinkling at the moral absolutism; appreciation of the mythic framework and the sheer amount of time that went into the world. Lately, I’m at the appreciation end — to me, the invented history around all aspects of this, including texts-within-the-text, is just so much fun, and the playing with language is inspired. From Elvish to Klingon (ed. Michael Adams) had a chapter which really made me appreciate the way Tolkien built his languages, including with a sense of history and an understanding of the fact (and the way!) that languages change. We are so ridiculously lucky to have this book, Tolkien’s mind at play on his ‘secret vice’ — it could have remained in his head and been lost, and we’d have been poorer for it. This time, though, what I noticed mostly was the maps. I’m not a visual person, so I’ve never been good at imagining the sheer scale of the Fellowship’s journey, or understanding the geography. Perhaps unsurprisingly, hours spent riding around the Shire, Eregion and the Gap of Rohan while playing Lord of the Rings Online has given me a much keener sense of the geography (if not so much the scale, since obviously LOTRO isn’t set up to make you take days to cross Eregion). Suddenly it’s much easier to picture, and to realise that Tolkien had a very clear sense of where everything was, even when it came to small scenes. All the details work together — such and such is on the left, so the east wind does [x] — to make it a fully realised sensory experience. You have to have a heck of an imagination to keep all that straight, and for the most part, Tolkien does. 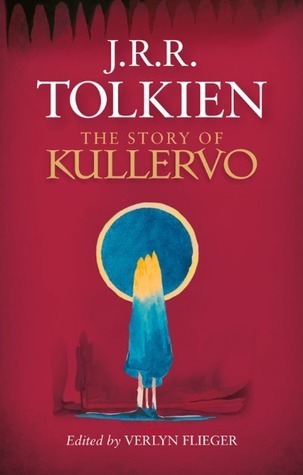 The Story of Kullervo is definitely a disappointing book, even for someone as interested in Tolkien’s legendarium and influences as I am. The actual content written by Tolkien is fairly slight and incomplete; the same talk is included twice with only minor changes, and the story isn’t that long. If his tale of the children of Hurin is something that really interests you, his interpretation of the Kalavala might be worth a look, but it feels honestly lacklustre. 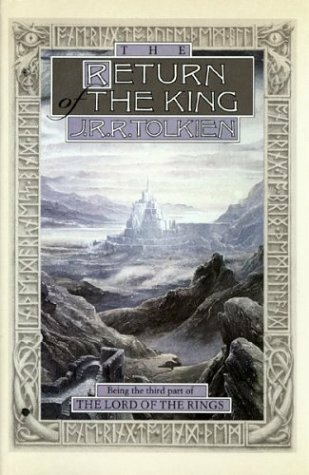 I’ve often felt that the Tolkien estate has been releasing stuff that J.R.R. himself would never have let into the light of day, and I felt that especially here — he loved the material, and he would’ve wanted to do better by it. The Silmarillion is one thing; his commentary on Beowulf was significant enough to be worth publishing, considering how important his ‘The Monsters and the Critics’ essay was. But this? But overall, I feel like I rather wasted my time here, which is saddening. J.R.R. 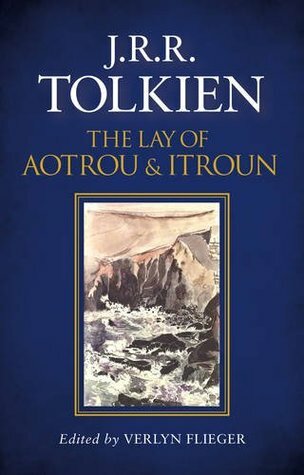 Tolkien did amazing work, and I think his legacy is being rather diluted by the popular reissue of things like this — it should, of course, be accessible to scholars, biographers, etc. But please stop selling this stuff as a complete work ready for public scrutiny! 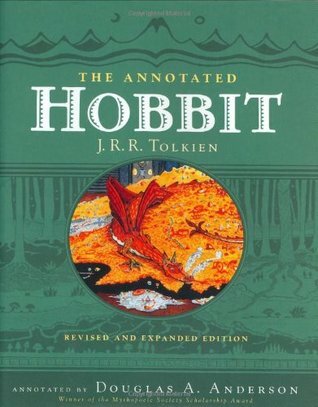 The Annotated Hobbit is a really great edition of the book for fans of Tolkien, or anyone studying Tolkien’s work. It’s full of useful annotations, including the references to Tolkien’s sources and inspiration, and the history of corrections to the book (particularly the ones bringing it in line with The Lord of the Rings geography and canon). It also contains a lot of illustrations from different editions of the book, including Tolkien’s own — most in black and white, but with an insert in full colour. I didn’t realise Tolkien originally did his own illustrations. For a casual reader, though, it’d be more distracting than not. There’s notes on practically every page, many of them lengthy — you might have to turn two or three pages to find the relevant note, as they don’t all fit in beside the text — and they aren’t all of interest to the casual reader. I wouldn’t recommend it for a first-time reader of The Hobbit. For me, as a fan and as a scholar, though, it was really fascinating. I especially loved the notes on the language — e.g. Tolkien’s wordplay in the chapter with the spiders, fully intelligible only to people with an enormous knowledge of different languages, including ancient ones. The story itself, well. For me it’s an old favourite, warm and comforting, like eating Werther’s Originals in a warm corner, inside, on a windy night. Even reading it for a class didn’t get in the way of that. There’s no way for me to be objective about it, and I won’t try.